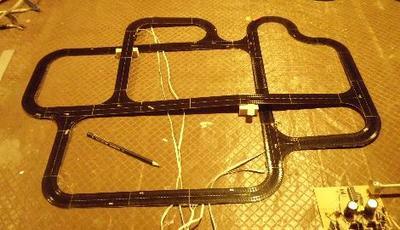 The rail linear motor test track is now evolving into a small micro-layout. The Monbulk Creek trestle bridge is a popular viewing spot on Puffing Billy, a 2'6" gauge tourist railway on the outskirts of Melbourne, Australia. 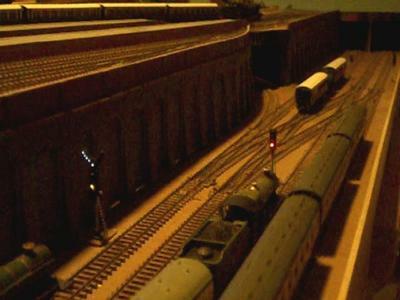 The scenic base is now in place, so time for the detailing, correct trains, and trees. Lots of gum trees. After a long break, I have started working on the linear motor tracks again. 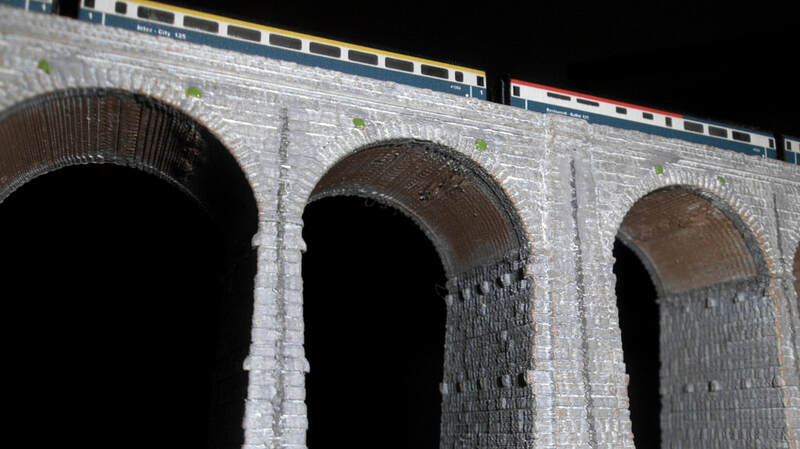 This time, having a 3D printer means that the main emphasis will be on rail rather than road. - and will be the basis of a small Australian narrow gauge micro-layout. 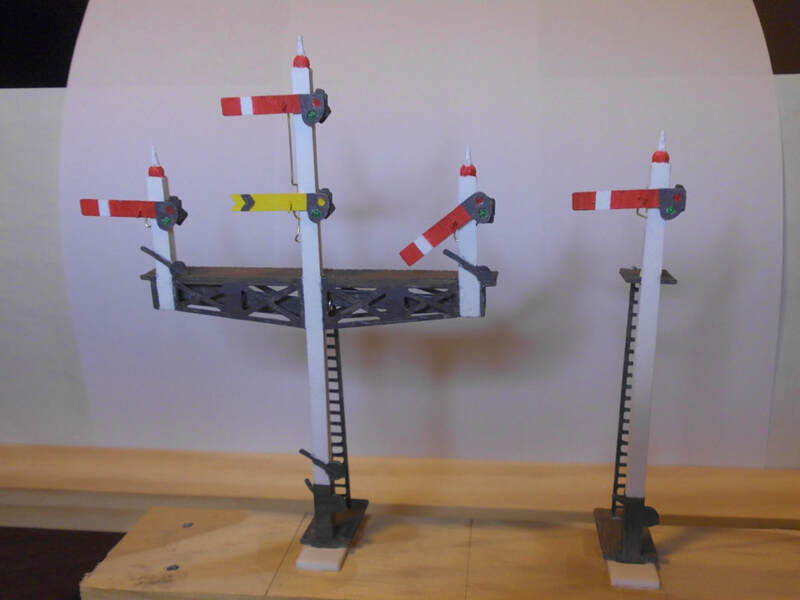 As probably my last 3D experiment for the next few months, I tried to come up with a simple 3D-printed working semaphore signal for OO scale. ...I think I may have gone a little overboard. This design is available for download from Thingiverse. A project I have been meaning to tackle for a while. 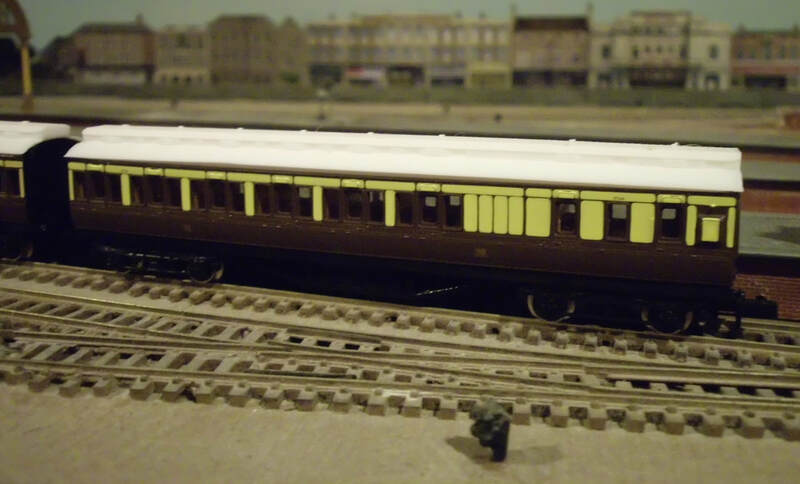 I have quite a few old Farish suburban coaches stored away, and wanted to convert some of them to have clerestory roofs. 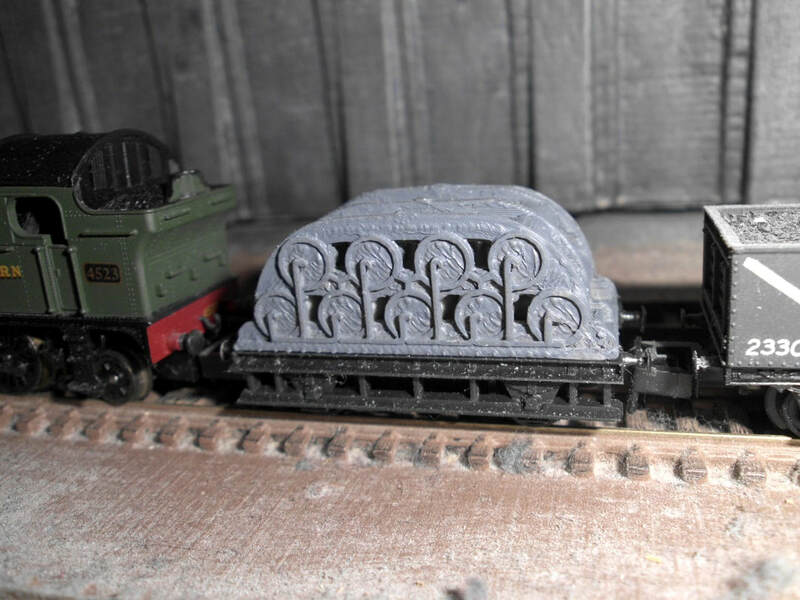 These roofs are simple drop-in replacements for the originals, and are available on Thingiverse. I want to see how a full rake looks when painted! 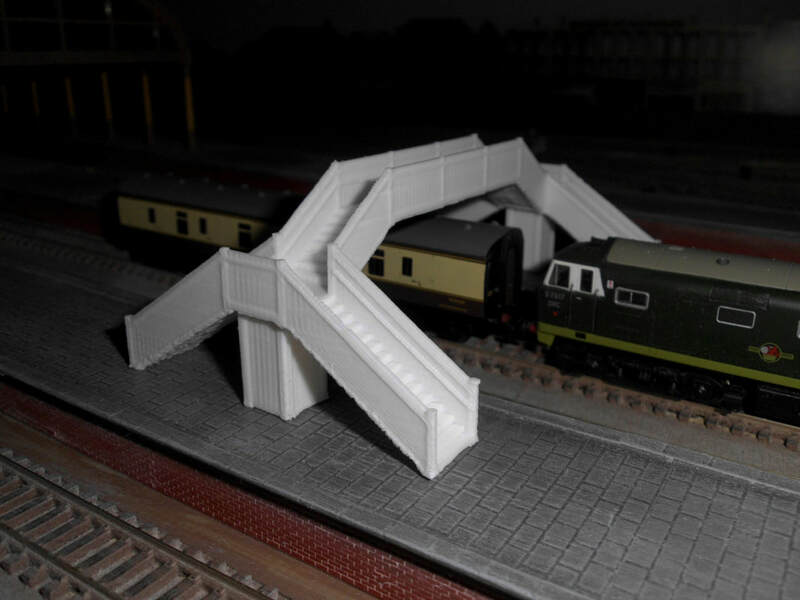 My first 3D printing experiment was a generic footbridge builder for T gauge. This is a cleaned-up version of that design with some extra detail N. There are 3 slightly different variants up on Thingiverse, which can be cut-and-pasted into many different configurations. My first attempt at an N scale wagon - the distinctive GWR Cordon DD4. This gas tanker was used back in the days of gas lighting in passenger carriages. Most railway companies used a different design with two longitudinal tanks, but the GWR had to be different (although they did adopt the other type as the DD5). The body is glued on top of a Peco 10' brake chassis. It has its undercoat, but final painting is still to be done. 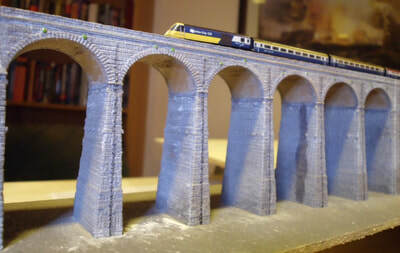 The model is available to download and print on Thingiverse - search for "GWR Cordon". 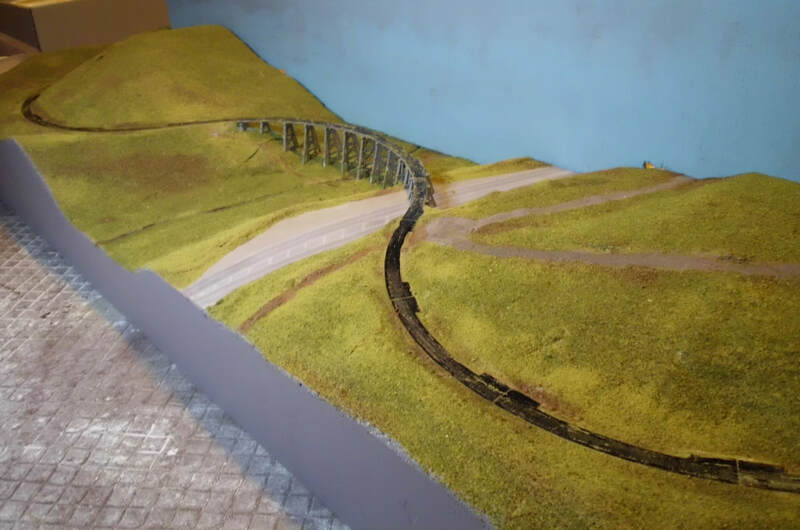 A centerpiece of the new Blea Moor layout is a T gauge model of Ribblehead viaduct. This is a 3D printed model, 0.9m in length, designed in pieces using OpenSCAD. 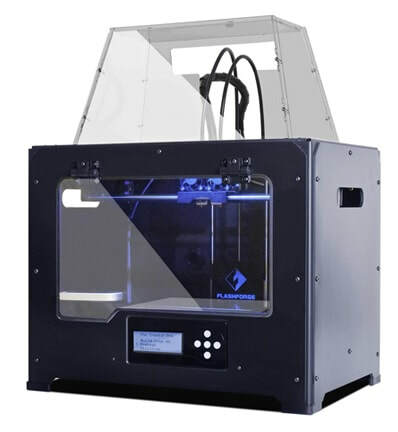 While not totally accurate, it does capture most of the prototype's distinctive features. 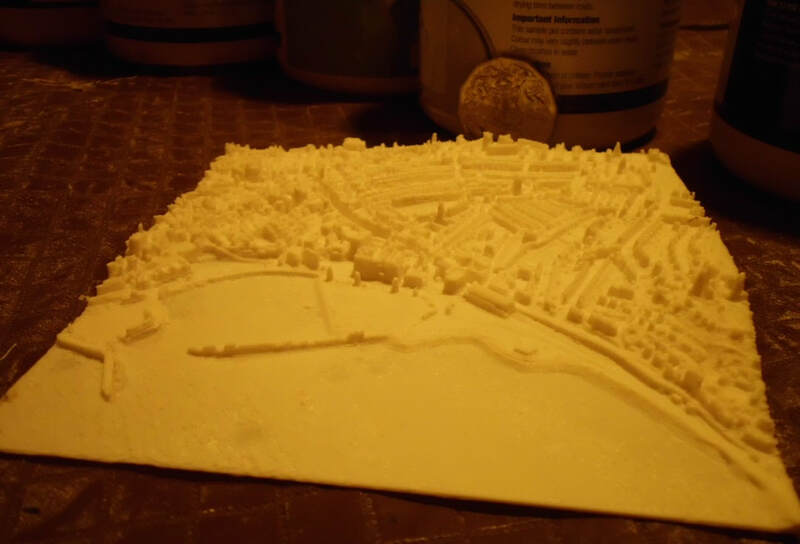 3D printed model of Penzance at 1:8000, a 1km x 1km area, centered on the station, with vertical scale exaggerated by x2. It turns out to be extremely simple to convert UK terrain elevation data to a complete 3D printable model of a 1km x 1km square using OpenSCAD. Both the software and the elevation data are available for free download. After a few more experiments, it turns out to be very easy to convert this free data to a 3d printable terrain model, as well as to cutout diagrams for foam sheets representing selected contours for scenery construction. LIDAR elevation data for the north end of Ribblehead viaduct. 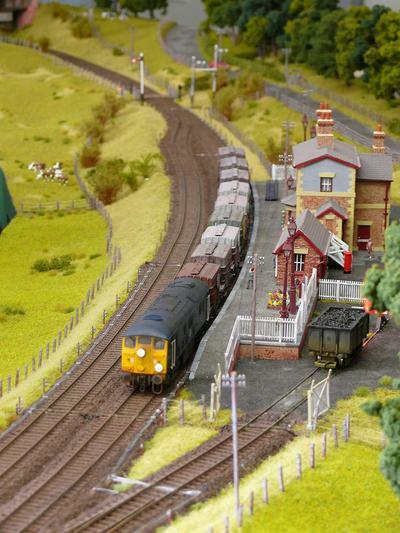 One challenge With a layout like Blea Moor is getting the very well-known terrain just right. 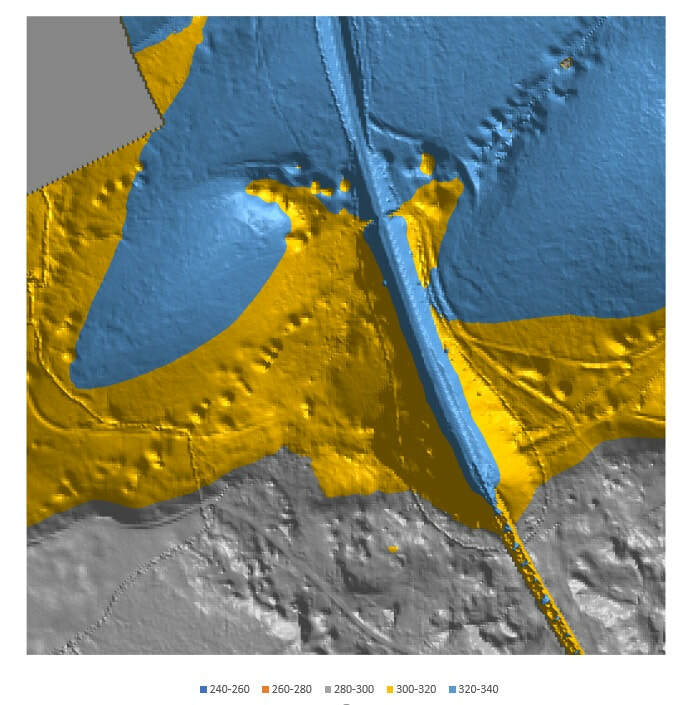 Contour maps are the obvious source of data, but there is a UK government website with free-to-download 1m and 2m resolution aerial LIDAR (laser-radar) data covering much of the UK. The picture shows the north end of the Ribblehead viaduct approaching Blea Moor, plotted in Excel. This has potential, so more to come! 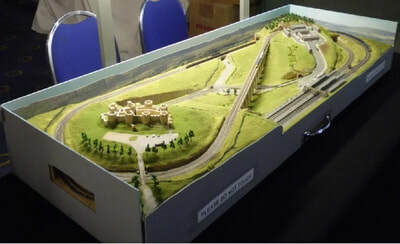 British model railway layouts in T gauge, N and OO. - and other odds and ends.